I almost never name legendary Pokémon . How could you call Giratina anything other than Giratina? … and would it not be blasphemous to call Arceus by any other name? The legendary Pokémon Latios (Japanese: ラティオス “Latios”) is a dual Dragon & Psychic type. Latios does not evolve from or into any other Pokémon, but he can Mega-Eolve into “Mega Latios” using the Latiosite stone. Latios is a male. Together with his lover Latias, he is one half of The Eon Duo of Hoenn. The female Latias (Japanese: ラティアス “Latias”) is also dual-type Dragon/Psychic Pokémon. 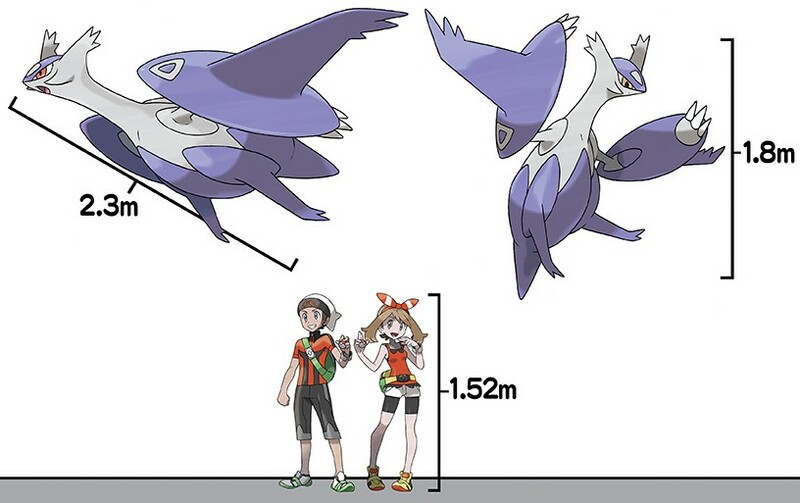 Similarly, she does not evolve from or into another Pokémon, but with the Latiasite stone, will Mega Evolve into Mega Latias. The Eon Duo look like they could be jet aircrafts. 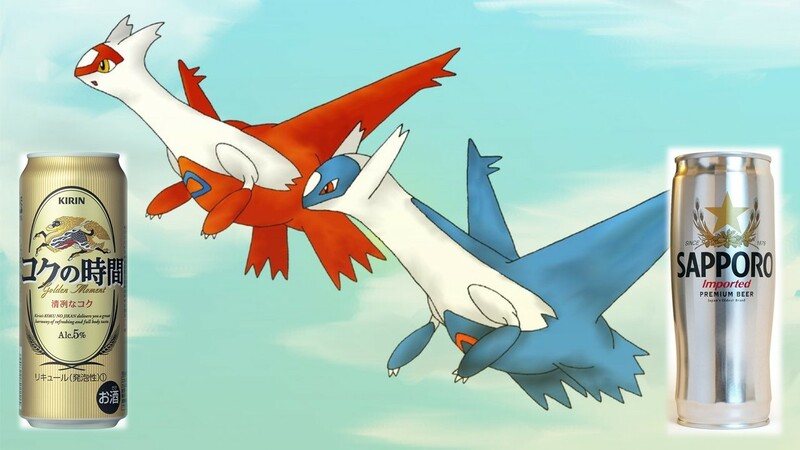 Latios is blue, Latias is red, however when they mega-evolve they are both purple. They appear even more like fighter jets in this form. I named Latios Sapporo and Latias Kirin. There are both names of Japanese beers, which I love. Sapporo is the name of a city in Hokkaido Island. Japan where the beer is brewed (top of my bucket list). Kirin is named after a Chinese flying dragon-deer legend. I might argue that their airplane-like bodies are canister-shaped enough so that I imagine that they could be full of beer … or maybe good at delivering imported beer at super speed! I sure would like to see a specially designed beer-cans with the Eon Duo on them! I love Japanese beer. I love kimonos. Put them together and you have my special topic for this week’s “Kimonos on Monday”. 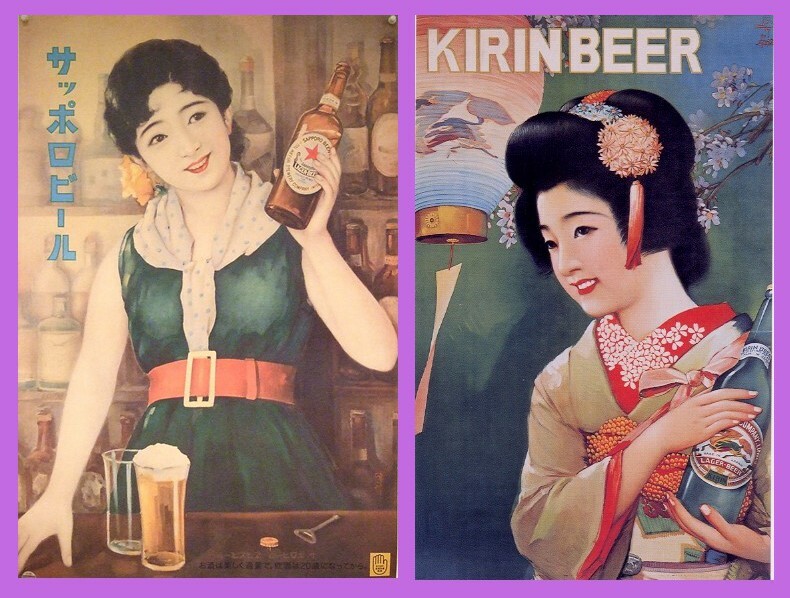 I want to share this gallery of vintage Japanese beer ads, which feature women in kimonos. You do not know how much I want a cold Bīru beer right now!!! 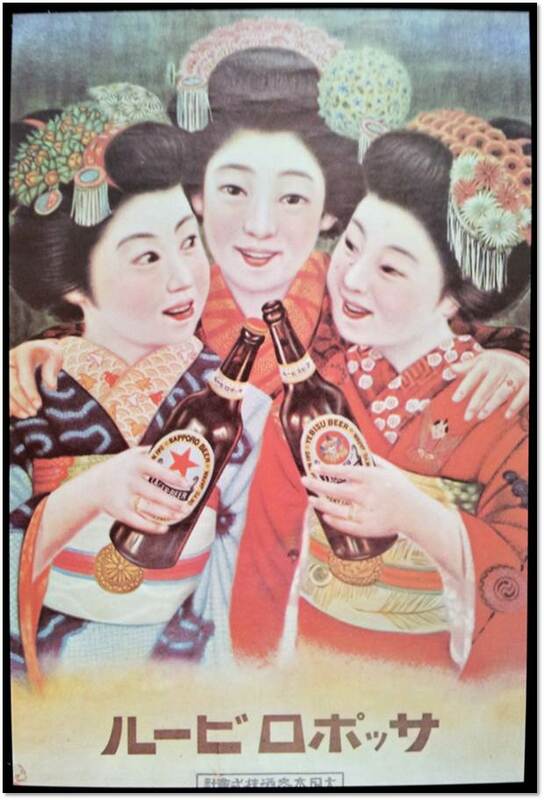 Vintage ad for Japanese beer. I’m a big fan of Japanese beer! Perfect picnic! A basket of beer! I fly like a crane for a Kirin! Photo of a poster from Sapporo! How did a “Bikini ad” get in here? I am a fan of Sapporo! See more on my Sapporo Beer board on Pinterest!